Roxy is a nice cozy apartment, most suitable for a couple. 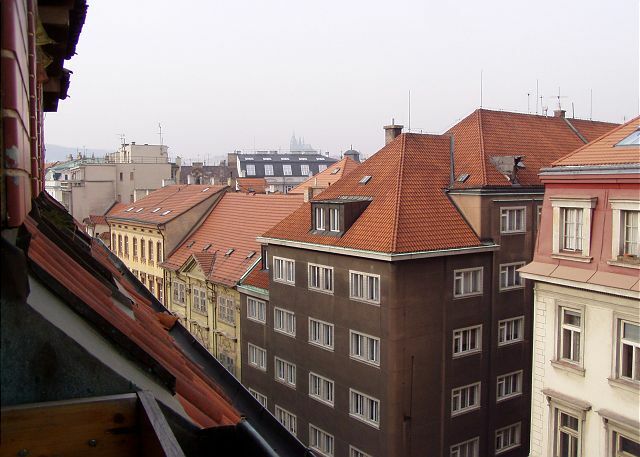 It has a beautiful view over the rooftops of Prague and the Prague Castle in the distance. 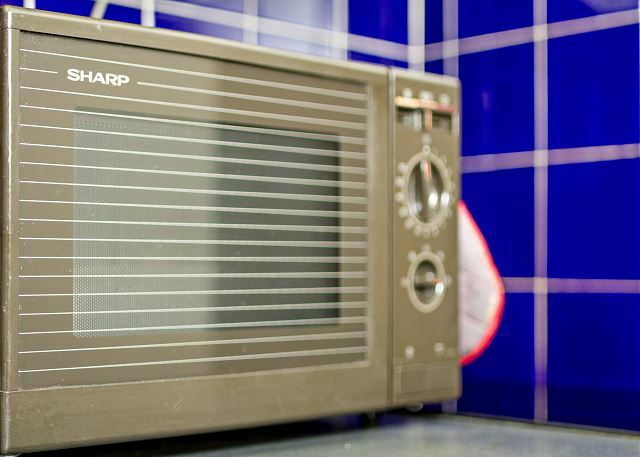 It has a small kitchen, which includes everything you need (coffee maker, microwave oven, toaster, etc.) to prepare breakfast and simple meals. 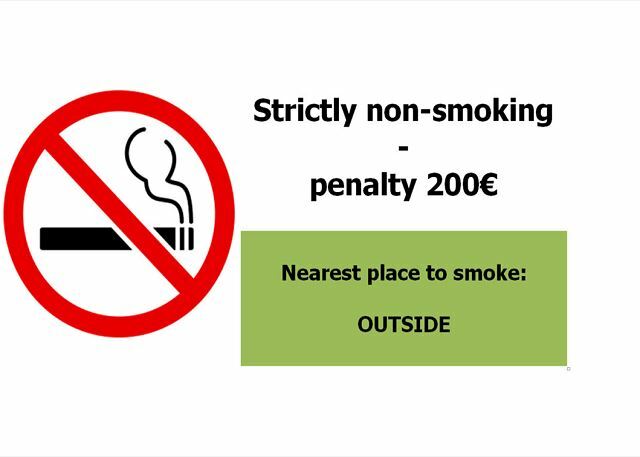 As all our other apartments, there is a high speed internet connection for those who wish to work or stay in touch with friends and the apartment is non-smoking. To get a better idea of this apartment, scroll down to view the floor plan. 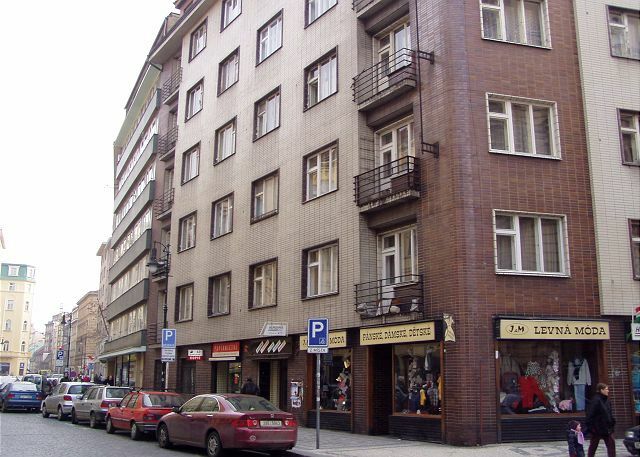 The apartment is located on the fifth floor and what it lacks in design it compensates with a great location in the very center of Prague 1.This apartment is especially convenient for visitors who love parties and nightlife, since Dlouha Street is famous for its bars and clubs, including the popular club Roxy. 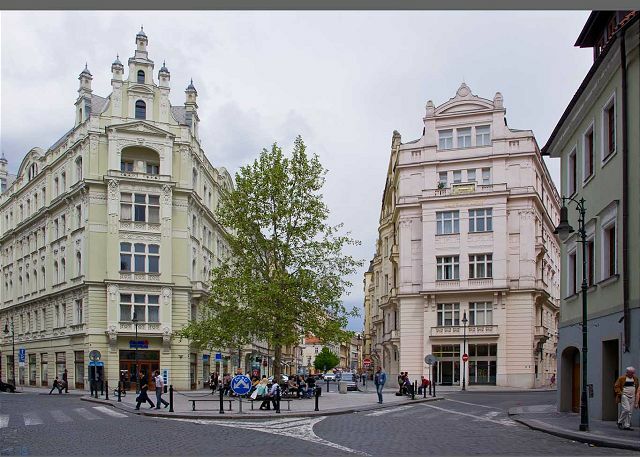 The building is also located only 4 minutes from the Old Town Square, in the heart of the historic center and is close enough for sightseeing by foot as well as visiting all of Prague’s interesting spots. Historic records of the street, where our apartment is located date back to the early 14th century. This street originally connected the Old Town Square with Porící and was the longest street in Prague - hence the name “Dlouha”, “Long Street”. Even though it only measures less than 400 meters, its name has not been changed. Dlouha Street has a lot of preserved historical buildings such as the Golden tree house, which is located just across the street from our apartment. Another house number 5 has captures the attention of visitors because of its interesting and mysterious stories. This house might seem insignificant but it is known as the house “U Smrti”, “At Death”. 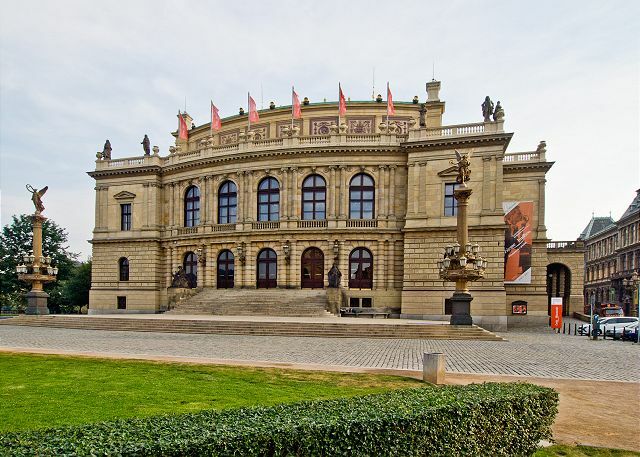 As the story says, a young man returned to Prague after being kidnapped as a toddler by a pair of vagabonds many years before. Not knowing his origin, he unknowingly married his own mother and therefore was executed right in front of this building. Congrats and Thanks a lot ! The rental was in an excellent location and was very clean. Apparemment conforme à la description , propre, clair, bien situé pour visiter Prague . Le seul problème est le bruit de la rue la nuit qui oblige à dormir fenêtres fermées . The location of the apartment couldn't be faulted - on Dlouha street which has plenty of dining options, and only a few minutes walk to Old Town Square. There is an excellent Vietnamese baguette store around the corner, and the always excellent Nase Maso on the opposite side of the road. The apartment is on the fifth floor, but there is a lift - although it was out of order for much of my visit! It had all the amemities you could need for your stay. There is a TV in the room, but I struggled to find out how it worked as all the onscreen instructions were in German - though who wants to watch TV ? My only problem was that because it was hot, I wanted to keep the windows open at night, but on a couple of evenings it got noisy in the street (English football fans mostly) and so I had to keep them closed - however there was a fan in the room, so I just used that. L'appartement est très bien équipé et très agréable. Nous avons apprécié sa position tout près de la vieille place. Les clés nous sont envoyées c'est très pratique. Il manque un petit descriptif dans l'appartement pour trouver les plus proches services : supermarché, restaurant agréable dans le quartier. ... très bon séjour dans cet appartement. Overall I am unsure on if I would recommend this property to someone. The positives are that the location is great, wifi puck to use, and an elevator. The negatives are the cleanliness of the property, the temperature of the room, and overall communication with the property management. Communication was great at first however upon entering the property there were several hairs all over the bed-sheets. I alerted the property management and they apologized for it but did not send someone to assess the situation or put on new sheets. I let that slide but later upon returning to the room I noticed that the toilet seat was falling off so I emailed the company right away and never received a response over the next 2 days about this. The room itself was very hot due to the temperature outside and there was a fan in the room, however the fan was on oscillate and the pin to stop it from moving was broken so I wasn't able to set it to point just in one location. Unfortunately due to the noise outside I was not able to open the windows to let air in so I ended up being very uncomfortable at night/when i was in the room. The temperature outside was not something that is anyone's fault, but there could have been a better fan in the room. Overall, with some fixes to the room and communication once i arrived (cleanliness, toilet seat, and fan) the room could be perfect but it was not the case for my stay. The location is good. The building is a bit old but the flat is great. merci rentego; fantastique organisation ! Je le recommande ainsi que Rentego. Monolocale ben attrezzato per 2/3 persone, noi eravamo tre amiche. Cucinino piccolo ma con tutto quello che serve. Bagno con vasca nuova e wc indipendente (anche se senza aspirazione). Posizione fantastica per andare ovunque. In inverno è ottimo, d’estate potrebbero esserci problemi di rumorosità se si lasciano le finestre aperte! Agenzia ci ha contattate via mail (Wi-Fi ottima) per offrirci qualche ora in più di check-out per lasciare i bagagli fino alla partenza: grazie!!!!! Nous avons eu la bonne surprise de découvrir un appartement plus spacieux que nous ne pensions. Très clair, très calme et très silencieux. Très simple et très propre comme on aime, il ne nous a rien manqué ! Ce logement a largement contribué à la réussite de notre séjour à Prague que nous avons adoré. On a beaucoup apprécié l'emplacement, avec plein de commerces, bars, restaurants à proximité sans les nuisances puisque nous étions au 5e étage. Je recommande vivement cet appartement parce que nous y reviendrons, c'est sûr ! Appartement avec tout le nécessaire,bien chauffé, super emplacement. 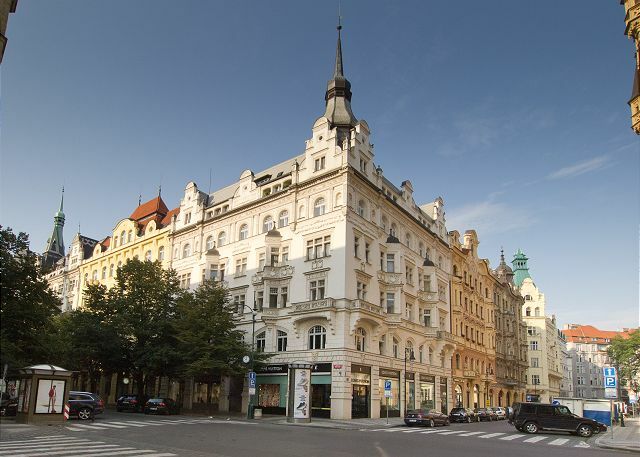 It’s truly a stress -free base in Prague because you get a fast response from rent-to-go staff, very close to Old Town square, a lot of dining options around the area and at the mall (Palladium top floor), Lokal is across the Bldg. , supermarket Billa and Penny are within walking distance, elevator working , complete kitchen wares, thumbs-up for separate toilet and bathroom areas and most of all, the area feels very safe even if you go out walking late at night. The apartment is quite small but it has everything you need. 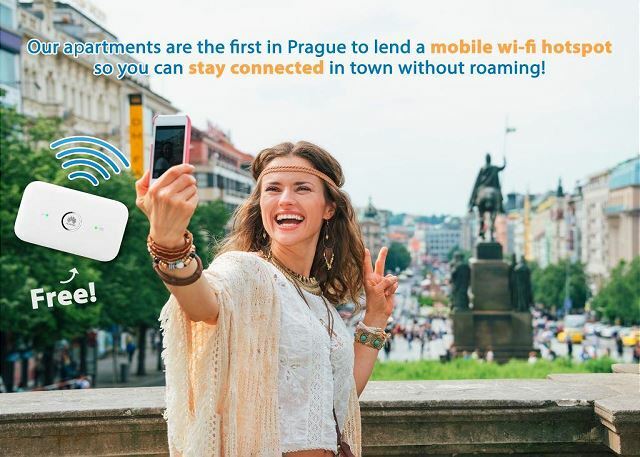 Now, that I have been to Prague, I will definitely book the same apartment on my next visit. Děkuji! Perfect location for the Old Town, less than 5 minutes from Old Town Square. The apartment is clean and tidy and had everything we needed including iron, ironing board and a travel hairdryer. The only negatives; it is noisy at night due to a bar and nightclub opposite. Ear plugs are a must! The toilet constantly smells of sewage. There isn’t a proper shower. It’s a bath tub with a shower head that you must hold to wash your hair. It doesn’t have an attachment high up on the wall. Rentego were very slow to tell us we couldn’t have a late checkout and in fact only told us the day before we left! I asked if they had a luggage store and they directed us to the train station which is not the closest. We found one a 5 min walk away that charged approx £3 per suitcase. We enjoyed our stay overall and would come again. This apartment was located in a great location! Very clean and good size. Best feature was the portable wifi hot spot!! Everyone was very timely and easy to communicate with! I would totally stay here again! Everything was in order when we arrived, sarisfied with the forniture and the cleanliness of the apartment. Most importantly, it was near the centre and cheap. Wolud reccomand it. Studio très bien situé proche des centres d'intérêts touristiques. Je recommande. Perfect location minutes to Old Town! Great and clean place. In the perfect spot walking to everything. However, way too noisy at night. Had a hard time sleeping because the partying across the street was beyond crazy. Screaming and hysterical singing till 6 in the morning. If it was not for that this would have been a 5 star spot now I give it 3.5. This is our 2nd. visit to Prague and 2nd. stay at The Roxy. We are looking at a one month return in the future. 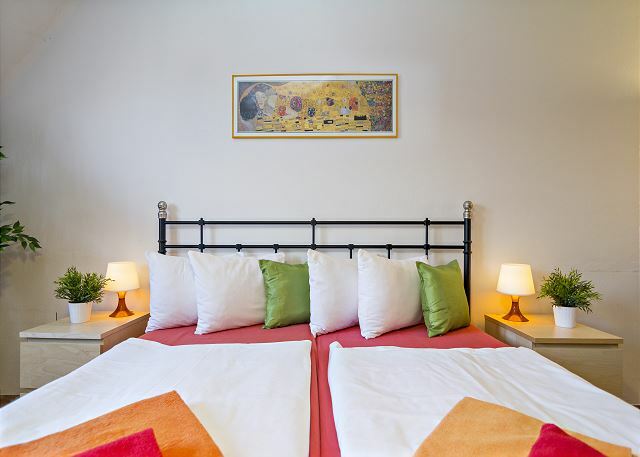 The studio suite was well appointed for our needs, clean, being close to Old Town Square. Thank you very much Maureen, don't forget that we offer 8% discount for loyal customers, so we'll be happy to hear from you soon! good apartment, but it is very noisy at night. there is a night club just across a street. 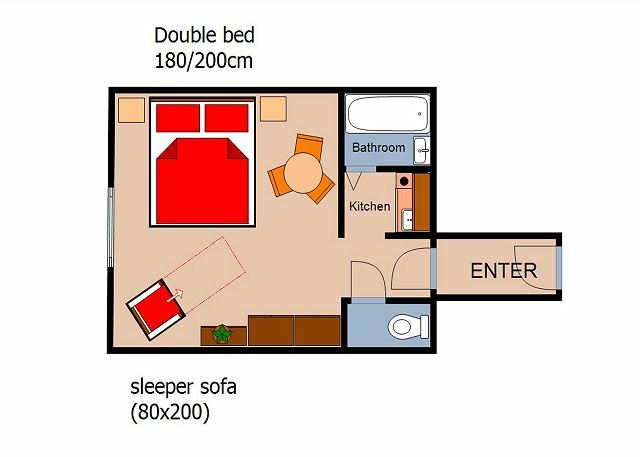 This flat was perfectly located in Prague 1. The flat was clean and the kitchen was well stocked with the necessities. The let did not arrive by mail before I left but staff met me and let me in. I was disappointed that no provision was made to support the recycling program in Prague and when my garbage needed to be disposed of I had no idea how to do that. Otherwise, I enjoyed my stay. 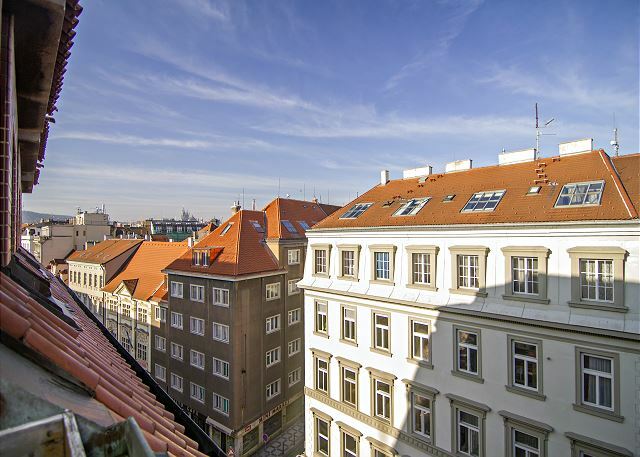 I am very happy to have found this flat for our staying in Prague.The ratio value-quality complies.The apartment is located next to the Old Town Square.A small,but there are all of you need. However,we have some desires to the owners. 1.Apartment has no the central heating but there is a heater that works very noisy.Especially this noise is disturbing at night. 2.The apartment has the entrance hall but the wardrobe is staying in the room and takes a huge place.I think it can be taken out into the hall and the room will be more spaciously. 3.The cleaning rags are stored in the same wardrobe,which are due to the lack of permanent heating in the apartment are slowly rot and emit a terrible smell of mold. 4.The toilet probably have not had repairs,the smell is terrible too. It maybe possible to put some air flavor to stay in this place would not be so unpleasant. I wished a lot of things but it did not prevent us from enjoying our stay at the fabulous Christmas Prague in this small apartment in the heart of Prague. Many thanks to the owners and all the staff of RenteGo, with whom it was a pleasure to be in contact both during the preparation of our trip and during our stay in Prague. 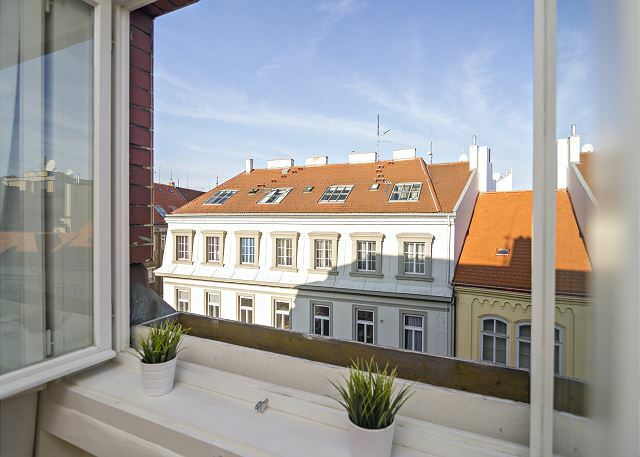 Our stay in Prague was very pleasant in this flat located in the centre of the old city. We were next to the shops, restaurants and places to visit. ???????? ????? ? ?????? ????? ???????? ????? ? ?????? ?????. ?????? ???? ?, ??????? ?????? ?, ??????? ????.?????????? ?, ?????????????-????????? ?? ????????????.???? ??????????? ????? ?, ???? ??? ???????? ?? ????. ?????? ??? ??????? ? ???? ???????? ?? ?????? ??????? ? ???????? ?, ??? ????????? ?? ?????? ????? ?, ???????? ?, ???????? ? ??????????. ????? ???? ??? ???????,??? ????????? ? ?????????? ???????? ?? ?????? ??? ??????.? ????????????? ???? ?????????????? ?, ?? ???? ???????? ???? ? ??????? ?????? ???????? ??? ??????.??????? ??????? ?? ??????? ????????????? ?, ??????? ? ?????? ?, ??? ????? ?????????? ?, ????? ???? ?????????! Everything was as described. The apartment was older but super clean.We are looking forward to coming again. Thank you very much Bernd, we are glad you were satisfied with the apartment. See you next time! Bien situé mais trop bruyant fenêtre ouverte. Emprise touristique trop forte, lorsque peu encadré comme nous. L'appartement est bien situé mais trop bruyant fenêtre ouverte, ce que nous préférons par grande chaleur. 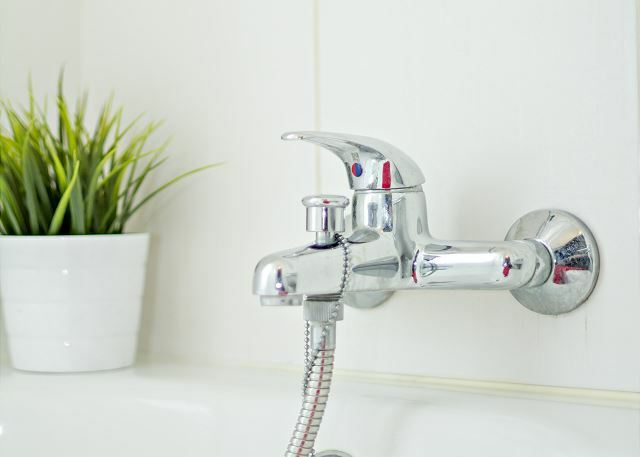 La propreté pourrait être amélioré: poils dans les lits et mur de de la toilette sale. Merci, c'est vrai, le bruit est un seul bémol de la situation en plein centre de Prague, mais il faut considérer que vous pourrez visiter à pied tous les monuments et les autres endroits branchés de Prague. À part cela, j'espère que vous aviez un bon séjour à Prague! The apartment is laying in the middle of the center. Perfect. Not very big is the apartment but everything is there what you need. This is the absolute best location we could have asked for. Just a minute walk from delicious restaurants and 5-15 min walk for all the popular sites you'd want to see in Prague (but no matter, as every step of the way is beautiful!). They give you a mobile wifi hotspot at no fee which was really nice. Highly recommended. The only things we thought could improve about this apartment: 1) The wifi at the apt doesn't work very well (but the mobile hotspot works fine), and 2) the toilet room is very small. Thans a lot Aaron, we are glad you enjoyed your stay in Roxy. Feel free to contact us for your next visit, we will be happy to host you again. The location of the apartment is quite convenient but the building is quite old and always very dark in the ground floor. The lift in the building is too small. Overall the room is acceptable because the price is also in budget. The sofa bed is also quite difficult to open it. If this is possible to know if we are stay for three guests that can prepare the sofa bed first. Bon séjour, la télé wifi est un réel plus et agréable. Le sol et la porte des WC sont un peu usés... Il serait bien qu'il y est des tapis à l'entrée pour laisser les chaussures. Une 3ème couette pour la chauffeuse serait indispensable pour 3 personnes. La Literie est améliorable au niveau des matelas. Je suis satisfait dans l'ensemble. Merci, Julien. En fait, il y a une 3ème couette dans l'appartement pour la chauffeuse. Par ailleurs, nous vous remercions pour vos observations. Séjour très agréable à Prague. Rien à redire sur l'appartement, il était conforme à la description. L'appartement est vraiment bien situé à 5mns de la vielle ville, supérette au pied de l'appartement. All was perfect.the accomodation is clean,quite ad driver and all services rentago are really perfect! Ma troisième expérience avec Rentego : tout est parfaitement conforme à la description. Les réponses aux questions par mail en français sont rapides et très courtoises. Je recommande sans réserve. We stayed at Roxy for a few days in November and we loved it. It was convenient, clean and cosy. The location is absolutly perfect, close to everything exciting in Praha. The RENTEGO people were very helpful and answered any request very promptly. Roxy is very easy to get to from Praha airport, following RENTEGO indications. It is also super close from bus and train stations. I would stay again at Roxy and recommend it. Nice flat near of the central square. Whith Wifi and all i needed for cook ! We are pleased to hear that, Nina. Feel free to contact us for your next visit! Fantastic apartment and location. staff most helpful. Totally satisfied. APPARTEMENT TRÈS BIEN SITUE POUR VISITER LA VILLE,BIEN ÉQUIPE(A PART UN PETIT PROBLÈME POUR FAIRE FONCTIONNER LES PLAQUES CHAUFFANTES),CALME. 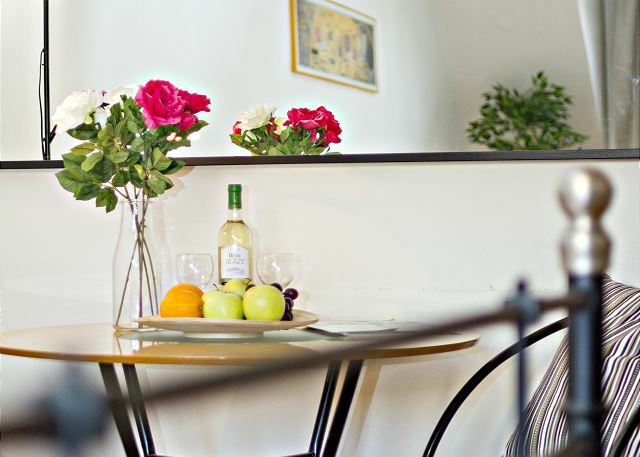 Roxy apartment is very comfortable, it is ideal for two people. It is near Namesti Republiky and Old Town Square. 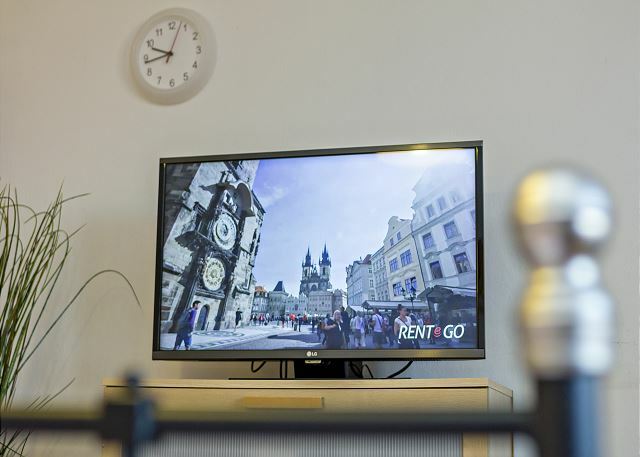 RENTeGO Prague staff is very helpful and friendly and seek to satisfy customers. I recommend it to those who want to go on vacation in Prague. Bonjour nous revenons d'une semaine entre copains. 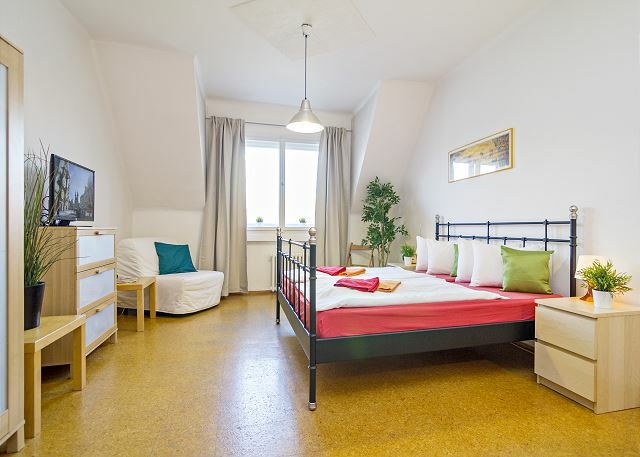 Nous recommandons cet appartement principalement pour des jeunes souhaitant sortir facilement le soir ou à un couple souhaitant visiter au maximum Prague. Appartement pouvant convenir pour 3 personnes maximum avec bonne vue, bonne situation. Seul petite reproche les toilettes relativement petite et une salle de bain ou l'on a une intimité uniquement par un rideau. We enjoyed our stay in Prague. The location of the location of the appartment was perfect, either to visit or to go out in the evening. très bon souvenir de ce séjour et de cette location bien située qui donne l'impression d'être comme chez soi. l'essentiel pour séjourner à deux agréablement. petites attentions et marques de confiance font que l'on se sent bien entouré. Rentego et Roxy: nous recommandons! Appartement très bien situé, propreté parfaite, tout le nécessaire pour les vacanciers (avec documentation sur Prague aussi). Le club Roxy situé en face peut être un peu bruyant pour les personnes qui souhaitent un calme absolu les soirs de week ends mais bon, c'est secondaire...Nous recommandons! as we have been traveling for 3.5 months, we chose this property for location and kitchen, to do most of our own cooking. This was not necessary as the "Lokal" across the street, which comes highly recommended in all tour guide books, has outstanding food, for a reasonable dollar, as we found, all Prague eating places did. We enjoyed having our morning coffee and breakfast at home. Although right on "party street", the double windows made for "silent" nights. I am a bath tub person---fantastic. The only draw back was the TV, which is for DVD's only??? Where would on get DVD'S?? And, as we had forgot our "Europe plug in" in Munich we had one battery life for the computer, which made Netflix impossible. Not Rentago Prague's concern. This apt. would be competitive with a B&B I expect. For us, "silence is important. We have traveled the world. 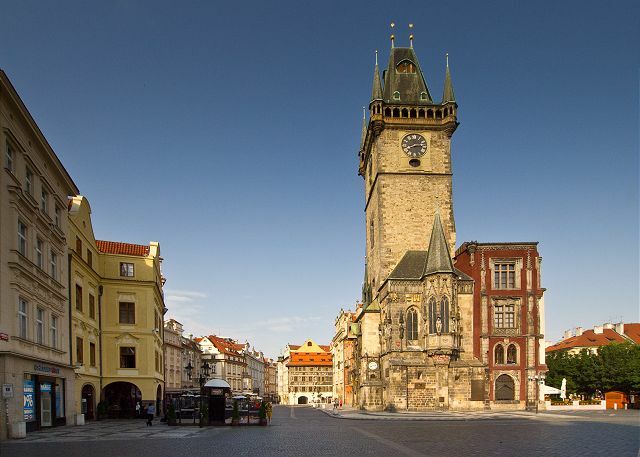 For newcomers to Europe, we will recommend PRAGUE FIRST! We had a nice stay in this apartment. 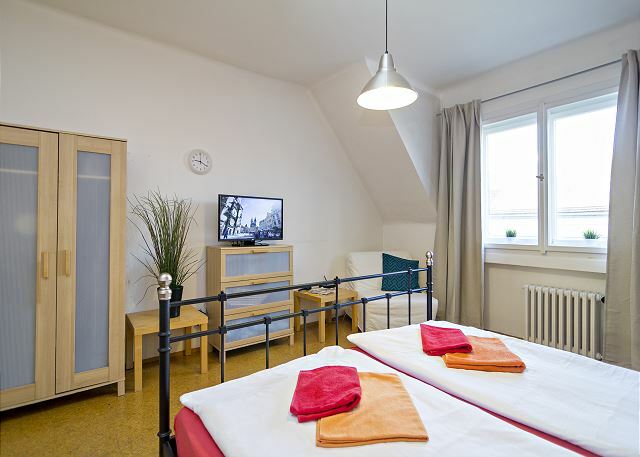 It is perfectly located, a five minute walk to the Old Town Square. The neighborhood is lively at night but the noise is not a problem with the windows closed. The apartment is clean and very convenient. We had everything we needed to cook. Before our stay and then in the apartment, we were given detailed useful information (how to get to the apartment from the airport, where to find a supermarket, etc. ), all in french, which made everything very easy for us. Very comfortable and convenient place to stay. The appartment is very well located, no need to take public transports to visit the city. Many restaurants are nearby if you don't feel like cooking. Très bon séjour dans ce studio bien équipé et bien placé. Nous avons passe un merveilleux moment a Prague . La location a répondu a nos attentes sauf pour le troisième lit qui est un lit de camp en très mauvais état ! Notre fils a eu bien des difficultés a dormir sur ce sommier cabossé ! Seul bémol d'un séjour dans une ville magnifique. Small but convenient appartement. Ideal location. Some noize from the pub outside on saturday night. appartement conforme aux photos du site et au descriptif. Aucune mauvaise surprise. Un très bon séjour. Séjour très agréable. Je suis venu avec une classe répartie entre quatre appartements, bien groupés et équipés. Expérience à renouveler. I use the services of Rent eGo Prague for almost 15 years. The apartment itself is clean and well furnished. It is on sixth floor but the elevator works fine. There are blankets for cold nights and a fan for hot ones. The kitchen corner is small but with all basic stuff. The bathroom and the toilets are very clean. What we enjoyed most: the great location, close to the B-subway and the old town square, we went by foot out every evening. What could be better: the place is quite noisy if you want to sleep with the window open, because there are plenty of pubs, bars and nightclubs around. Really great trip in Prague with your help. Everything was perfect except maybe the noise down in the street during the night. Everything else was great thanks again ! Nous avons loué l'appartement Roxy. La location correspond parfaitement au descriptif. Très bien située, clean et bien équipée. L'agence est très PRO, tout est pensé pour passer un séjour agréable sans mauvaises surprises. L'agence donne aussi beaucoup de bons conseils pour profiter au maximum de Prague. Si vous cherchez un hôtel de charme, passez votre chemin. L'appart est propre mais les murs ont besoin de peinture, les tablettes sont des planches de contreplaqué, l'immeuble est très quelconque et moins propre que l'appart, et l'ascenseur doit dater d'avant-guerre! Mais l'immeuble et l'appart sont très sécuritaires et on trouve dans la cuisinette un choix d'ustensiles très complet, café, sucre, sel… Tout (fer à repasser, sèche-cheveux, radio) est de qualité minimale mais fonctionne. Salle de bain et toilettes modernes. Connexion wi-fi: j'ai pu converser tous les soirs avec mon conjoint via mon ipad sans problèmes. Le lit est vraiment confortable. Bruit de la rue: fenêtre fermée, c'est calme. Je mets toujours des bouchons de cire et j'ai dormi comme un loir tous les soirs. J'hésiterais à revenir l'été, il doit faire très chaud sous les toits même fenêtre ouverte avec bouchons. RenteGo ont installé un store noir entre les deux fenêtres, je ne l'avais pas vu le premier soir! C'est efficace fenêtre fermée. Les gens de tous âges dans l'immeuble (en 13 jours j'en ai croisé souvent) sont aimables, tranquilles et vous saluent (dobrí den!). Enfin, la localisation est exceptionnelle. Je voulais rentrer à pied à 22h après les concerts du Festival au Rudolfinum et au couvent St-Agnès: mission accomplie. Si je revenais pour 2-3 jrs avec mon conjoint, je choisirais peut-être de payer pour le charme--mais pour un séjour de 13 j seule, le Roxy est imbattable côté prix, le confort très correct même pour mes 64 ans, et je me suis toujours sentie en sécurité. We were a bit travel-weary by the time we arrived to our little flat -- and it was just what we needed. 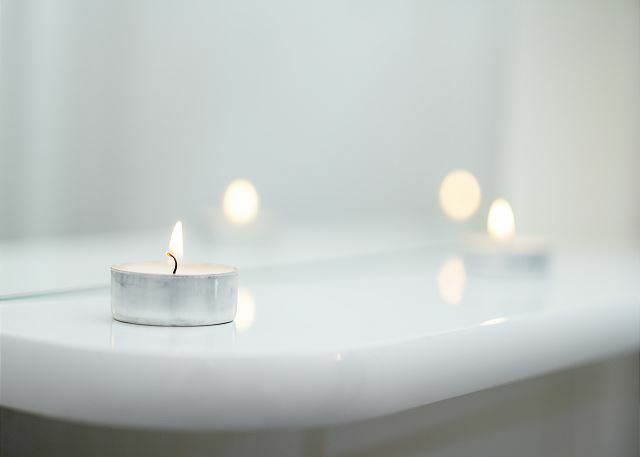 Fully outfitted, clean, well-located, and run by friendly and responsive professionals. I would highly recommend this flat and this property management company. The apartment was very good and the location as perfect, Just in the center, 5 minutes to the town hall. The apartment was nice, very clean and better tan what we expected. We would go back again! Parfait pour une semaine (6 nuit pour 190euros) en couple. L'appartement est bien sans être luxueux. Bon emplacement. Propre, tout le nécessaire d'un appartement de location. Bien desservie pour l'aéroport (prendre le bus 119 puis le métro A. en 50 minutes). Rien à redire, à par peut être la température excessive du chauffage que l'on ne pouvait régler (petite fuite à ce moment sur le radiateur au niveau du robinet). I use the services of Rent & Go for more than 10 years. ??? ????? ?, ????? ?, ?????? ?? ?????. Bonjour, pour l instant nous y sommes pas, mais rien est impossible :-)! 1) the wireless router should be changed. The internet was pretty fast when I connected my laptop to the wire, but it was painfully slow when on wireless mode. So you should change the router. Otherwise, it was a truly perfect place. light no working in the out corridor,the floor as to be change. The reservatio works very good, but the level of decoration and comfort is very midle class. super bien placé, idéal pour visiter( proche de tout à pied). super ville, à visiter! très bonne location, indications fournies en adéquation parfaite avec la réalité !! I have been for the second time in this flat. We were very happy with the flat and if I have the possibility to come once again in Prague, i will rent this flat once again. Thank you very much Rent&go ! Fantastic stay at the Roxy! We stayed at the Roxy apartment for 5 days and cannot fault it - place was spotless and had everything you could need on your trip, but the best thing about this apartment is how close it is to Old Town Square - you can walk there in a few minutes. Would definitely recommend the Roxy! Great location but a bit noisy from the bars across the street. Very clean, spacious, working elevator. TV and radio did not work, bottle opener is broken. Overall nice stay. We just appreciate the well-organized system of Rentego, , the location of the appartment, so near from the centre of the old town, the services provided in the appartment...good enough for 3 days, may be not for a year stay! Starting from booking we had excellent support from RENTeGO team. Instructions "how to get to the appartment" really impressed us. 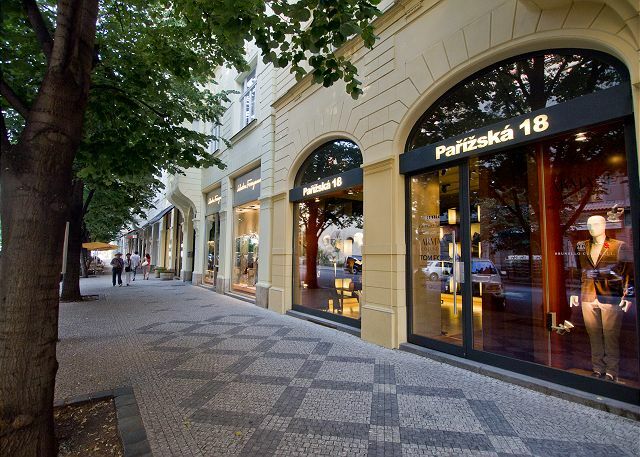 Roxy has perfect location close to main sights of Prague, metro and some good department stores. Easy access to the airport by public transport. 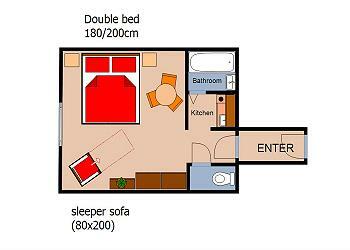 Appartment is not so big but enough for couple. Without any doubts we will stay at Roxy again. The apartment was great, everything I needed. The staff however was the most helpful part. They went beyond what they should have to Take care of any questions and/or needs and I am very thankful. Again, it's a modest flat, but the bed was comfy, the bath/shower worked great, and everything was spotless and functional. We found it to be a great value. Clean, very fast in case of problem, no loss of time in administrative matters, very good advice about the city... Only regret that Rentego is only in Praha ! Nice place, well placed and comfortable apartment. And beautiful city!! C'est la deuxième fois que je pars dans un appartement Rentego et il n'y a rien à dire. Une valeur sure. nous avons toujours été très près du centre. Tout s'est fait à pied. Et le service d'envoi marche très bien. Le petit plus : un guide du quartier de l'appartement choisi et un petit guide de prague. each expresso in prague costs like 4 italian espresso! Nos avons passé des vacances formidables. Ceci est notamment dû au fait que notre appartement dépassait nos espérances. Prix au top et facilité de réservation. L'appartement était très bien et situé en centre ville ce qui est très pratique. Nous avons été vraiment satisfait et serions prêt à renouveler l'expérience. Un grand merci à l'équipe Rentego pour leur efficacité et disponibilité. L'appartement Roxy est très bien situé et très calme (fenêtre fermée). Personnellement je recommanderai cet appart à mes amis avec toutefois un bémol en cas de température extérieure élévée nécessitant de dormir la fenêtre ouverte (je suis particulièrement sensible au bruit). Each time Icome to Prague I stay at Roxy, so it was my third stay there thant mean I love it !!! We stood one week in the "Roxy appartement", it was just perfect. 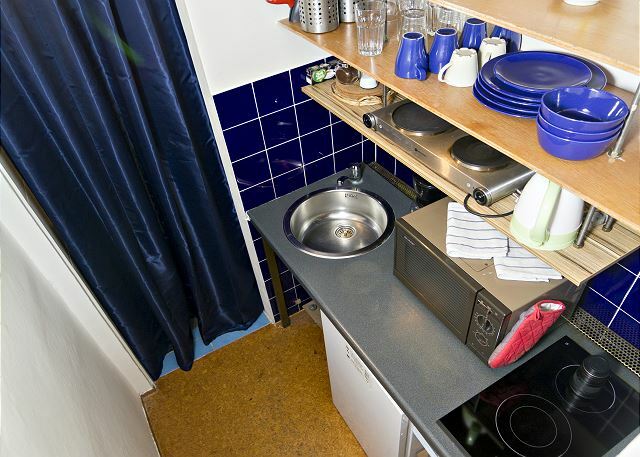 The pictures on the website are totaly true: the flat is excactly as shown. Nothing miss (there are all the furnitures you can need! )and it's realy clean. le séjour c'est très bien passé. La ville est magnifique. l'appartement est très bien situé dans le centre, facile a trouvé. il était très propre, en bon état et très bien équipé. je pense qu'une horloge dans le salon serait un plus et que des rideaux plus opaque ou des volets seraient bien aussi( ceux en place sont un peu transparent et laisse passer la lumière le matin) mais sinon rien a dire de particulier. et pour le personnel de rentego très bien. j'ai reçu plein d'info par mail sur la ville et il y avait dans l'appartement plein de documentation aussi très utile. très bien situé. Appartement très modeste mais très propre. Lit confortable. Tant qu'à la cuisine nous ne l'avons pas utilisée. salle de bain très convenable.